Just a quick OOTD, just had to share my new cute sweatshirt from Tesco, I'm loving the new trend for studs, so I had to snap this one up. I just wore it with a black maxi skirt and biker boots, it's a bit of a goth look I guess, but it was comfy and practical for meeting my friend for a cuppa. Are there any current trends you're loving at the moment? Have you gone full on, or just incorporated a hint of it into your wardrobe? Hi Becky, i'm Anna who contacted you about the skinny jeans article, just say hey, as i was reading your blog title i totally had 'Sandy' Grease voice in my head, Ooh i want to hear that song now. Btw you look gorgeous in that top. ERMMAAHHGGAHHHDD!! Your hair is all types of fabulous!!! I was going to write a post with the exact same title! Different studded top though. Loving studs right now. 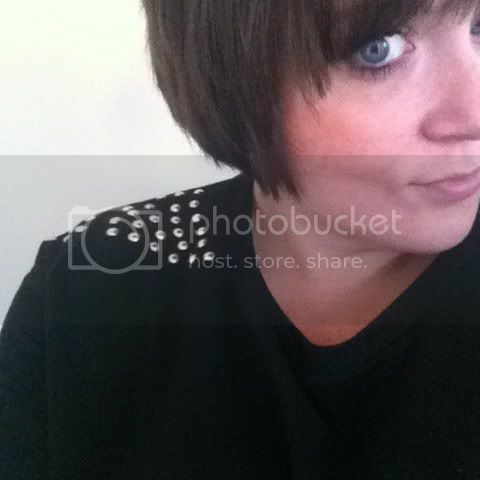 New Look have some great studded tops too. Loving that jumper, I may have to purchase myself! 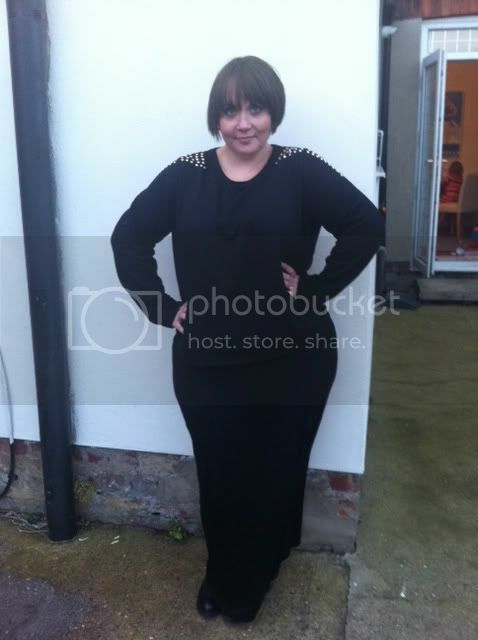 Although currently on the hunt for the perfect works Christmas party dress so it may have to take a back seat for now. I think I might be the only person in the world who doesn't like studs! Although What I mean by that is that I don't like the current trend for studs that stick out like spikes, so I guess It's spikes I don't like! 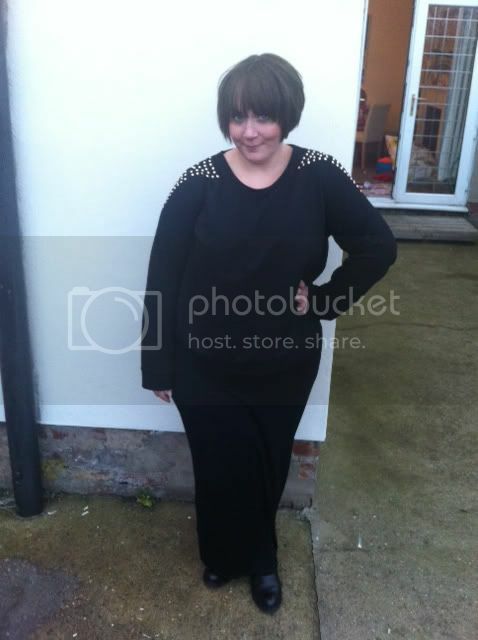 I like these flat studs, and the jumper is lovely. You look like a cutie-pie even in all black & punky studs! I notice that this only goes up to a 20 on the Tesco site. How is the fit / fabric? !